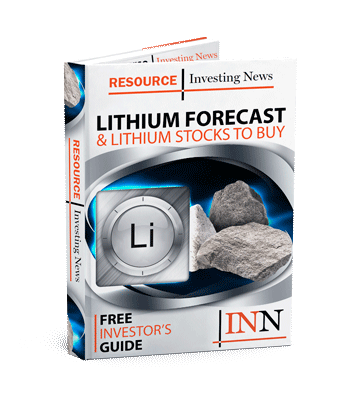 Looking for the top Canadian lithium stocks? These TSX- and TSXV-listed stocks have seen the biggest year-to-date gains so far in 2019. For the past couple of years, the popularity of lithium has been increasing on the back of the energy storage revolution. Despite having a tough 2018, many market watchers are still optimistic about the future of the metal, with the demand narrative getting stronger every day. For investors interested in the lithium space, here’s an overview of the top Canadian lithium stocks on the TSX and the top Canadian lithium stocks on the TSXV with year-to-date gains. This list was generated on April 3, 2019, using TradingView. Only companies with market caps above C$10 million are included. Lithium Americas, together with Chinese top lithium producer Ganfeng Lithium (OTC Pink:GNENF), is developing Caucharí-Olaroz, located in Jujuy, Argentina. In addition, Lithium Americas owns 100 percent of the Thacker Pass lithium claystone project in Nevada, US. Orocobre is building a substantial Argentina-based industrial chemicals and minerals company through the construction and operation of its portfolio of lithium, potash and boron projects and facilities. Orocobre’s operations include the Olaroz lithium-producing facility in Northern Argentina, Argentine boron minerals and refined chemicals producer Borax Argentina and a 35 percent interest in Advantage Lithium (TSX:AAL,OTCQX:AVLIF). Neo Lithium is focused on advancing its Tres Quebradas project — a high-grade lithium brine lake and salar complex located in the province of Catamarca, the largest lithium-producing area in Argentina. The project covers approximately 35,000 hectares and the salar complex within this area is approximately 160 square kilometers. Junior exploration company QMC Quantum Minerals is focused on properties in Manitoba, and its flagship asset is the Irgon lithium property in the province. Irgon is a historic rare metals deposit where developmental work was undertaken by Lithium Corporation of Canada. QMC is currently completing its own exploration at the property. Vancouver-based Millennial Lithium is focused on the development of Pastos Grandes, its flagship lithium brine project situated in the province of Salta, Argentina. The company is also developing another project in the Lithium Triangle, the Cauchari East project, which is next to Orocobre’s Olaroz mine and Lithium Americas’ Caucharí-Olaroz project. Keep an eye on Frontier Lithium. The preliminary feasibility study should be out this year and might be insightful. What about pemif orlemif or lemif ? ?